The earlier you take the UKCAT, the earlier you’ll know your score. Hopefully it’ll be a good one, but either way it’s better to know sooner rather than later. You can then base your university research on this, applying to (or avoiding) those who place a strong influence on your test results. 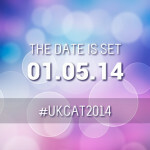 For more information on this, check out our article on How Universities Use the UKCAT Score. If you book an early test and later fall ill or just feel like you’re not quite prepared enough, you can simply postpone your testing date until later in the year. Alternatively if you book the test for the last possible minute and wake up feeling rough, there’s nowhere to run to! There are only so many exam centres, with a limited number of slots. 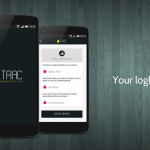 By booking early you maximise your chances of being able to take the test close to home. The later you leave it, the more likely it is you’ll need to travel. To book your UKCAT test today, head to www.ukcat.ac.uk or check out our practice revision apps.